Mauricia Beachcomber Resort & Spa **** is known for its excellent location. The smart-casual character of Mauricia blends high quality accommodation with superb service. Inspired by contemporary design trends, this hotel attracts vibrant guests whose priorities for their island getaway include – in addition to the highest quality accommodation in this price bracket − sport, entertainment, health and fitness. Mauricia Beachcomber exudes a lively atmosphere, spacious public areas that optimise the dreamy beach views and modern touches that add impeccable attention detail. Canonnier Beachcomber Golf Resort & Spa **** is its own category of paradise. This resort is on a prime Grand Bay property, perched on a peninsula with two beaches, each offering a different view. Woven into the legacy of the resort is a little piece of Mauritius’ rich cultural history, blending old and new in innovative, creative ways: A new and unique safari-inspired kids club offers youngsters aged 3 – 11 years a world of fun and entertainment. Kids can broaden their horizons with activities in a generous playground and in a tented village. The old lighthouse now serves as a venue for the Teens Club and the spa has been built in the branches of an ancient banyan tree. Canonnier has always remained a favoured family resort, with endless entertainment for adults and children alike. Its close proximity to Grand Bay gives you the option of retail therapy, while the resort’s tree-top spa, built in the branches of a centuries-old banyan tree, has other therapies on offer to ease weary minds and bodies. Canonnier is a vibrant resort. While it is the choice for the fun-loving fraternity, it’s been built with sheer relaxation in mind and the perfect balance for the ideal vacation. Victoria Beachcomber Resort & Spa **** boasts breathtakingly beautiful public areas are one of the exceptional features that define this resort. Another is the fresh feel, clean lines and modern design of the lobby, lounge, bar and restaurant areas. There’s no way of guessing the kinds of visitors who specifically prefer Victoria, because it quickly becomes the number one resort for every kind of guest, be it they families, honeymooners or conference-goers. Shandrani Beachcomber Resort & Spa ***** is the first choice for action-filled holidays for families and nature lovers. It boasts a range of land and water sports, four restaurants, and a wide variety of facilities on offer. The very popular premium all-inclusive package is the standard offering for all guests. Vast tropical grounds, a location with its own peninsula hugged by three beaches, this resort will leave you spoilt for choice. Trou aux Biches Beachcomber Golf Resort & Spa ***** unfolds its magnificent suites and villas along a long stretch of beach and reaches back another 300 metres into lush, tropical greenery. Natural colours and fabrics have been specially selected in the decor to preserve that authentic island style – a trademark of this resort. A staggering 100 swimming pools, some of them private, make this hotel the first choice for the well-travelled, with world-class service, spectacular sunsets and a relaxed atmosphere to complete the experience. Paradis Beachcomber Golf Resort & Spa ***** is one of the most prestigious resorts in Mauritius. Located on a stunning peninsula, Paradis is renowned worldwide for its high profile facilities and services and first-class accommodation. Le Morne peninsula’s shoreline stretches for seven kilometres and features one of the best beaches on the island. A unique wow factor includes 13 recently renovated luxury villas built along a private beach where guests have the option of an ‘own home’ seaside holiday. Dinarobin Beachcomber Golf Resort & Spa ***** is among the most stunning locations in Mauritius (at the foot of Le Morne Mountain) which makes this resort that much more desired by discerning guests. View the exquisite ocean views from Dinarobin’s characteristically deep verandahs, giving each suite the feeling of a private seaside home. The public areas consist of vast spaces under rustic thatch canopies. Reflecting ponds have transformed the main restaurant into a fairyland of twinkling lights where tables are set on islets. If you’re in the mood for Italian fare, genuine Tuscan delights await you at the second restaurant. The newest addition to Dinarobin’s culinary offering is Umami, a pan-Asian restaurant open for dinner. Lunch is served right on the beach, so you don’t have to miss one moment on the velvet sand to enjoy your meals. An exclusive adults-only crescent is available at Dinarobin whereby adults who seek an especially tranquil and refined environment have the opportunity to book accommodation reserved for guests aged 18 years and older. Certain perks and facilities are available to residents of the adults crescent, in addition to the pool in crescent six being reserved for guests residing in this crescent as well as an adults’ only section of beach next to the alfresco beach bar, adjacent to this crescent. Royal Palm Beachcomber Luxury ***** is undeniably the finest hotel in the Indian Ocean – this hotel is an exclusive private residence that’s truly a world apart. Its loyal and discerning clientele return year after year to immerse themselves in the understated lavishness of this tropical haven. The hotel has hosted royals, political leaders, movie stars and sports stars who have enjoyed the privacy of its quiet beach, restaurants serving only the finest food and wines, and above all, the privilege of anonymity. 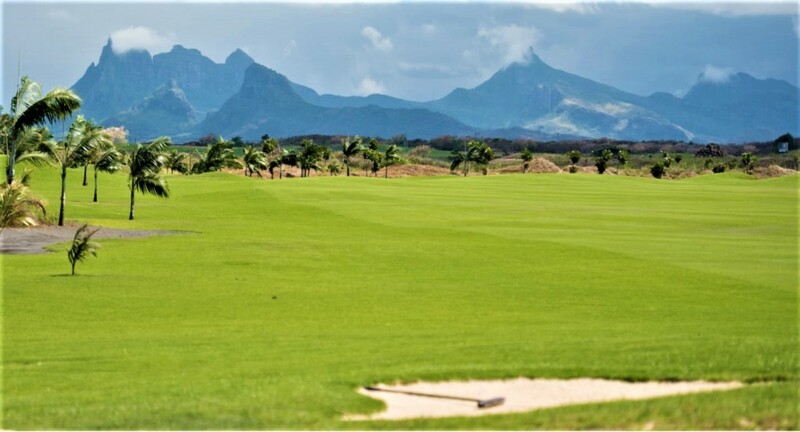 Mauritius has developed a reputation as a premier golfing destination – rightly so, as the climate makes the sport a year-round possibility. New golf courses have been developed, and Beachcomber Resorts & Hotels is the proud owner of four resorts associated with superb courses and facilities. Paradis Beachcomber has an 18-hole par-72 championship golf course considered to be one of the island’s best. It is a convenient course for guests of nearby Dinarobin Beachcomber too. In the north and available to guests staying at Canonnier Beachcomber and Trou aux Biches Beachcomber is the island’s 18-hole Mont Choisy Le Golf. 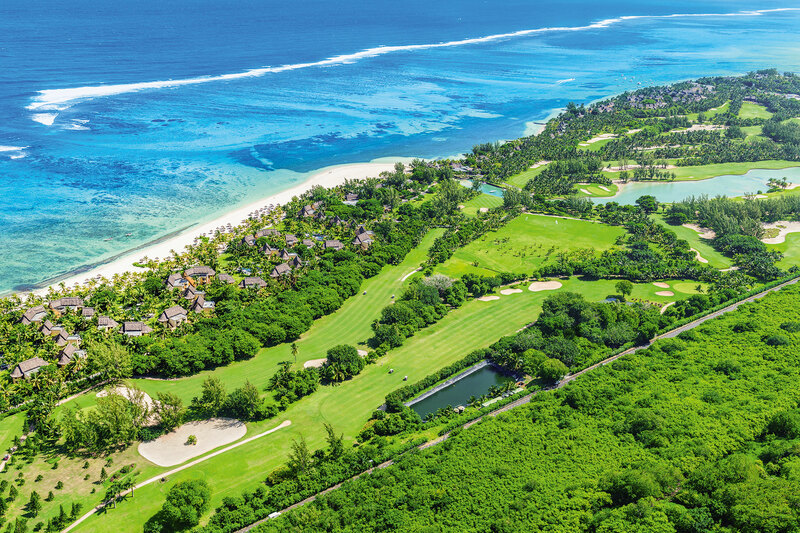 Golfers staying at the above four Beachcomber golf resorts may also play at three additional 18-hole golf courses in the southern part of Mauritius, where Beachcomber holds reciprocal agreements. They are Heritage Golf Club, Avalon Golf Estate and Tamarina Golf Estate. At Shandrani Beachcomber, there’s a challenging 9-hole mashie course with a unique layout that makes good practice for the improvement of golfers’ short games. Shandrani guests also receive preferential rates and complimentary transfers to Avalon 19-hole golf course. Positioned between the impressive Le Morne Mountain and the crystal-clear waters of the ocean, the course at Paradis Beachcomber is a peerless combination of spectacular scenery and enjoyable play. Shared by guests of both Paradis Beachcomber and Dinarobin Beachcomber, it is a typical links course, testing the champion and entertaining the novice. Immaculate greens and fairways run alongside the ocean and swirling mountain winds make the front nine holes a challenge requiring precision. Accuracy is necessary to tackle the back nine. The superior infrastructure of the property as a whole makes a golfing holiday at Paradis Beachcomber or Dinarobin Beachcomber most appealing. 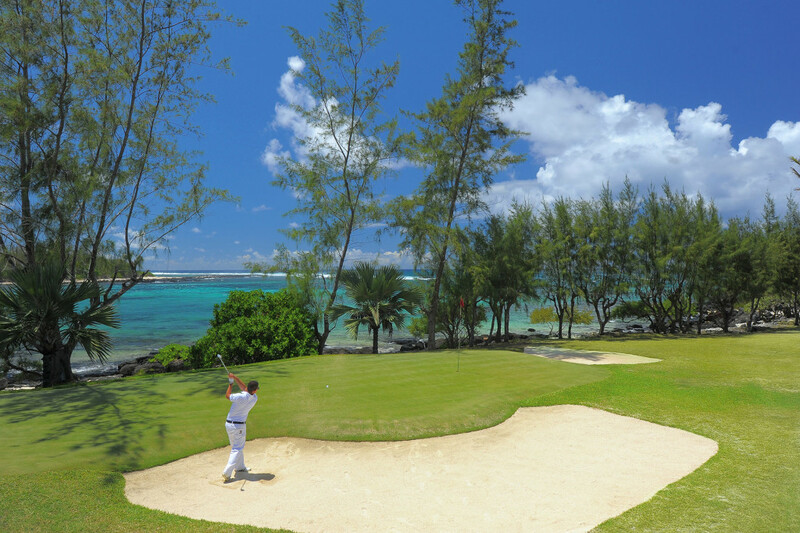 Guests staying at Beachcomber golf resorts enjoy privileged access to Mont Choisy Le Golf, the only 18-hole golf course in the north of Mauritius, for an expanded golf experience. It is located in a sprawling nature reserve within proximity to the Beachcomber resorts of Canonnier Beachcomber and Trou aux Biches Beachcomber. Mont Choisy Le Golf is a par-72 championship course crafted by the renowned southern African golf architect, Peter Matkovich. The serious golfer will enjoy it as much as those playing merely for fun. Parts of Shandrani Beachcomber’s 9-hole par-29 pitch and putt golf course run adjacent to the beach, affording breathtaking views over the ocean. The compact size of the course makes it the perfect option to polish a short game, at the same time challenging both beginners and seasoned golfers. Green fees for Shandrani Beachcomber guests are waived. Shandrani Beachcomber has an arrangement with Avalon Golf Estate whereby guests play at a reduced green fee with transfers included too. Beachcomber Tours organises two annual Paradis Beachcomber Golf Challenge tournaments, uniquely marketed as family golfing holidays. In 2019 the events will take place from 01 – 06 July and 26 – 31 August. Our Paradis Beachcomber Golf Challenge is so popular that 50% of the participants are repeat guests, many of them women and juniors. Make up a four-ball, and one person will get his/her land arrangements free of charge. The winner of the tournament receives free land arrangements, including an air ticket, to defend the title in the challenge the following year. The runner-up receives free accommodation for the next tournament. Golfers will be pleased to know that the clubhouse is situated only 100 m from Paradis Beachcomber’s reception area. Non-golfing partners will be equally thrilled to learn that the Paradis Beachcomber Golf Challenge is played in the mornings, leaving the afternoons open for leisure and family time. All Beachcomber resorts feature PADI-Diving Centres with comprehensive diving programmes. Dive into adventure and explore ancient wrecks off the Southern coast and discover sizzling aquariums of tropical fish on the island’s pristine reefs. Kids are king with Beachcomber. Each Beachcomber resort has a complimentary Kids Club open daily for children aged 3 – 11 years. Activities are geared for two age groups: from 3 – 6 years and 7 – 11 years. At Royal Palm Beachcomber the club is housed in a small house, set in luxuriant gardens featuring a paddling pool and miniature loungers. At Dinarobin Beachcomber the Kids Club is a traditional Mauritian beach house on the beachfront with a large wooden deck and double-storey Wendy house. At Paradis Beachcomber and Trou aux Biches Beachcomber the clubs have their own restaurant and splash pool. At Shandrani Beachcomber a Creole-styled pavilion set in the heart of the resort’s tropical gardens is home to the Kids Club. Victoria Beachcomber‘s Kids Club is located on the beach under a Bedouin tent with a colourful play area and an outdoor beach cinema. 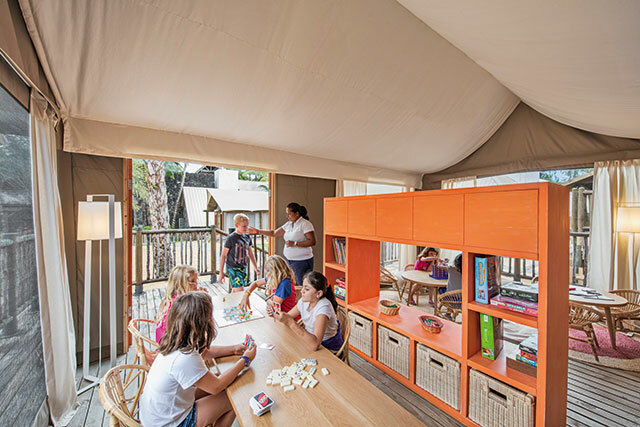 At Mauricia Beachcomber children can experience a traditional Mauritian playschool with made-to-measure desks to store their personal belongings. Canonnier Beachcomber‘s new Kids Club is a safari-inspired tented village including a generous playground plus miniature golf course.